One of the biggest names on the MLB trade market is J.T. Realmuto. Should the Miami Marlins decide to deal their catcher, they’ll have plenty of options. Jon Heyman of Fancred Sports reported that “the Marlins have interest from no fewer than 14 teams for star catcher.” Excluding the Washington Nationals, this includes all of their National League East rivals. That there’s a lot of interest is far from surprising. Realmuto is one of baseball’s best offensive catchers. He is a career .279/.327/.442 hitter, has hit .286/.338/.454 over the last three seasons, and hit .277/.340/.484 with a career high 21 home runs in 2018. Realmuto is not a rental, either. He’s not set to become a free agent until after 2020. 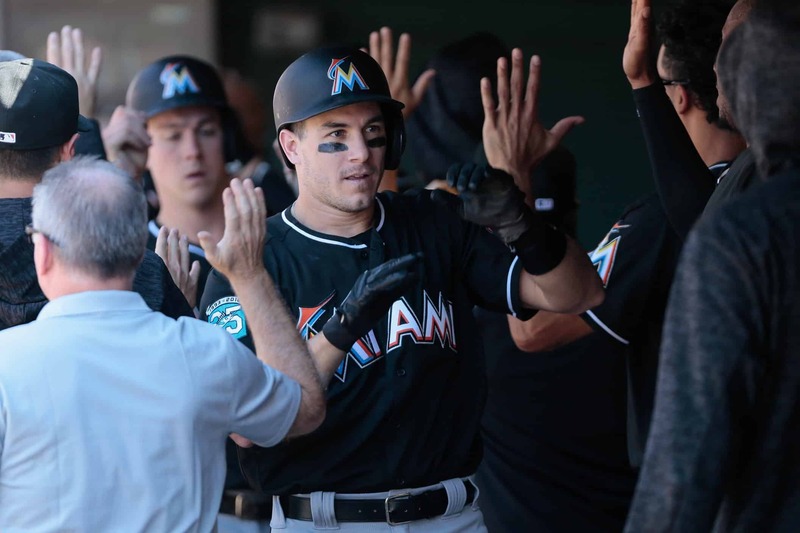 Realmuto’s agent has said that he thinks his client will be dealt before spring training, noting that he won’t sign an extension Miami. The contract situation does give the Marlins some time. But given the number of interested teams, we would expect the right offer to come Miami’s way sooner rather than later.